Go Back to the Homepage / ANDRE T. YOUNG, ESQ. Throughout his life, Andre Tylor (“A.T.”) Young has always advocated for others. Andre is a native of Atlanta, Georgia. He is the son of the late Willie James Young, who retired from General Motors as an active UAW member and Mrs. Bobbie Young-Brinson who retired from Blue Cross Blue Shield of Georgia and now resides in Ellenwood, Georgia. Andre is the fourth of his parents’ five children. An honor student at Southwest DeKalb High School, he was a National Achievement Finalist and was awarded an academic scholarship to attend the University of Miami in Coral Gables, Florida. After his father’s passing he returned home to Atlanta to complete his studies. Andre graduated from Georgia State University with a Bachelor of Arts Degree in History (Minor, Sociology) and a Master of Education Degree in Social Studies Instruction. While a student at Georgia State, Andre served as a member of the Student Advisory Council to the Board of Regents to the University System of Georgia, President of the Student Body, and Director of Campus Activities and Programs. In 1999, Andre was chosen by the National Association for Campus Activities as the Southeast Regional Student Leader of the Year. He also interned with Atlanta City Councilwoman Cathy Woolard. After graduating from Georgia State, Andre began his career as an educator with Redwood City School District. He taught middle school Social Studies in Atherton, California. While teaching in California he was also an assistant coach of the freshman basketball team at Sequoia High School. Feeling called to do more for people, Andre decided to attend law school. Andre enrolled in the Indiana University School of Law at Indianapolis (now the McKinney School of Law) under the Indiana Continuing Legal Education Opportunity (ICLEO) fellowship, awarded by the Supreme Court of Indiana. During his time in law school, A.T. served on The Dean’s Academic Advisory Committee, where he interviewed candidates for professorships and made recommendations to the Dean of the law school about course offerings and master class schedules. He also served as a representative for the Student Bar Association before completing his Juris Doctor Degree in 2008. While pursuing his law degree Andre also worked full time as a U.S. History teacher at Speedway High School in Indiana. While employed as an educator, Andre was an active member of the Speedway Teachers Union and the National Education Association. He was also the sponsor of the Student Government Association. For his efforts at Speedway High School, A.T. was recognized as a ‘Top 10’ Teacher of Year in 2005 and 2006. 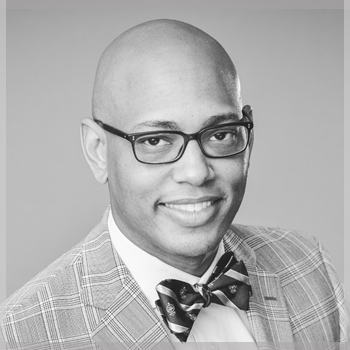 In addition to teaching while in law school, Andre served as a clerk for the Honorable Davidson Momah, Administrative Law Judge of the Equal Opportunity Employment Commission. Andre also interned with The Law Offices of Robert Wesley, the Public Defender of the Ninth Judicial Circuit in Orlando, Florida. Andre also clerked for the Law Offices of Shapiro and Kauffman, P.A in Orlando. After graduating from law school and passing the Florida Bar exam in 2008, A.T. opened the law firm of Young, Simmons and Burt, LLC (“YSB”), where he served as a shareholder. Andre left YSB to practice on his own at the Law Office of A.T. Young, LLC from 2010 to 2011. In 2011, A.T. formed Young DeLoach Attorneys at Law, LLC with his best friend Earnest DeLoach, Jr. In August 2014, Earnest’s practice was acquired by a statewide commercial law firm and Andre formed The Young Law Firm of Florida, where he continues to advocate on behalf of hard working people. A.T. also served as an Adjunct Professor from 2009 to 2013 at Everest University (History, Politics, and Sociology); International Academy of Design and Technology (Sociology; Cultural Diversity); and Keiser University (Paralegal Studies; Wills, Trusts, and Estates Law). Andre is committed to giving back to the community. In addition to participating in events with the Chi Tau Chapter of Omega Psi Phi Fraternity, Inc., Andre and The Young Law Firm of Florida have sponsored the Orlando Mayor’s Martin Luther King, Jr. Commission, Downtown Credo “Orlando Together” Bike Rally, Mennello Museum Indie Folk Fest, United Arts of Central Florida, Oakland HAPCO Arts & Music Fest, Nap Ford Teacher Appreciation, Metro West Elementary Sunshine State Book Club, Orlando Outlaws Football Team, and Jones High School Athletics. The Young Law Firm is also an Orange County Public Schools Partner in Education.